Welcome to a Fresh, Modern Dallas Galleria Hotel Conveniently located near the Dallas Galleria, this hotel boasts a fresh, new look. Crowne Plaza Dallas Near Galleria - Addison Hotel is situated in a prime location for exploring Dallas and close to more than 170 restaurants. Addison Regional Airport is 5 minutes from the hotel and Dallas Fort Worth (DFW) and Dallas Love Field (DAL) - are 15 minutes away. The hotel offers guests complimentary shuttle service to destinations within a three-mile radius of the hotel, including the Dallas Galleria Mall one of the best places to shop in Dallas. In addition to the Galleria, the area includes such attractions as Cavanaugh Flight Museum (restoring, operating, and displaying vintage aircraft) and WaterTower Theatre, which hosts a variety of shows on its state-of-the-art stage. Travelers to Addison on business are pleased to learn that many major corporations are located nearby, including Mary Kay, Bank of America, Wells Fargo, JPMorgan Chase and EMC. With nearly 32,000 square feet of meeting space, the hotel is the perfect choice for conferences. The hotel creates a relaxing atmosphere with modern and upscale amenities. Cool off and refresh in the outdoor pool then grab a bite to eat at the on-site restaurant, McArthur's, and finish the evening with a nightcap from The Atrium Lounge, located in the lobby. 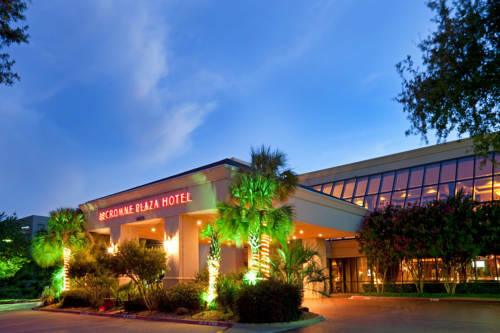 Book this Dallas Galleria hotel for the ultimate comfort and convenience in Dallas. McArthur's Restaurant is an eclectic restaurant featuring American cuisine with a Texas twist, an excellent choice for any meal. Kenny's Wood Fired Grill in Addison has a classy, relaxed and warm atmosphere featuring the finest wood grilled seafood and prime cut meats. Come early and enjoy a glass of wine or the perfect Grey Goose martini from our signature frozen tap system. After a day of meetings or touring the city, unwind with friends or colleagues at The Atrium Lounge in our hotel's lobby. Addison, Texas patrons can relax with top-shelf liquors and delicious libations while watching sporting events on the big screen TV. Enjoy live entertainment in a relaxed and upscale atmosphere. 7,680 sq. ft. Ballroom with a Beautiful Gallery Area that includes natural lighting which is 6,500 sq. ft. The Director's Room is a beatuiful boardroom that seats up to 12. It also has a 42 inch flat screen to project from your laptop. This room is located on our 2nd floor and seats up to 12 people. Located on 1st floor on the lobby level. Newly renovated as of November 2015. This room is ideal for social and corporate events. This room can be broken down into 3 separate meeting rooms which are 860 sq. ft. each. This room is conveniently located on the 2nd floor by our Trinity Ballroom. This room is located on the 2nd floor acroos the hall from our main ballroom the Trinity Ballroom. This room is located on our 1st floor. This room is located on the 2nd level and located close by to the Trinity Ballroom. This meeting room is ideal for meetings or breakout room. - Galleria Dallas Shopping Mall with various stores. Conveniently located at I-635/LBJ Freeway and the North Dallas Tollway, Galleria Dallas offers shoppers more than 200 exceptional nationally and internationally recognized retailers and hosts more than 19 million visitors each year. Center hours are 10 a.